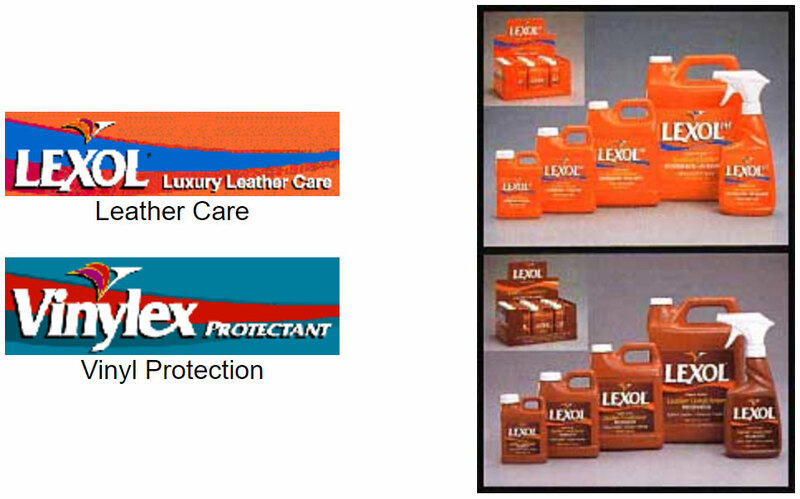 Lexol products have long been recognized by auto restorers and detailing professionals as their only choice for leather care. Lexol-pH Leather Cleaner quickly and safely removes dirt preparing the leather surface for the special oils and preservatives of Lexol Leather Conditioner. AQUA-TITE, containing silicone, is a premium grade heavy-duty water repellent solution. It restores the water repellency of cotton and synthetic fabrics. It can be used on flame resistant fabrics without affecting the flame resistant properties. Its neutral color is suitable for use on all colors, however it may impart a slightly darker, richer tone to some lighter colored fabrics. For use on fabrics of acrylic, cotton, nylon, polyester, polyester and cotton blends; also garments made of these fabrics, sporting goods equipment, tents, awnings, boat covers, leather and canvas fabrics. One gallon properly covers a minimum of 500-700 square feet, depending on the absorbency of the fabric. Can be sprayed, brushed or rolled. AQUA-TITE is available in one-gallon plastic containers and handy one-quart plastic bottles with a premium trigger sprayer. 303 Aerospace Protectant is NOT LIKE ANYTHING you’ve ever seen! 303 is THE LEADER in UV screening technology and 303 Protectant really is like “SPF 40 Sunscreen … For Your Stuff.” Regular use of 303 Aerospace Protectant can reduce UV caused slow-fade by up to 100%. No other protectant beautifies as intensely, protects as powerfully or lasts as long.